Hello coffeeholics! Happy weekend! I'd like to greet this weekend with one of my personal cravings -- GAVINO's JAPANESE DONUTS & MORE. 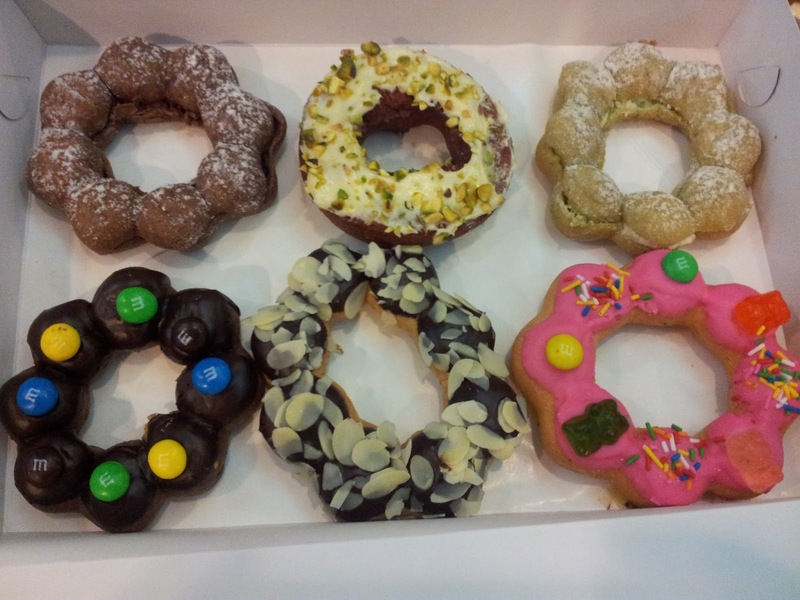 I had a taste of these delicious treats like a month or so ago at Il Terazo, Morato. It was an off chance impulsive buy of a friend of mine as a take out treat. 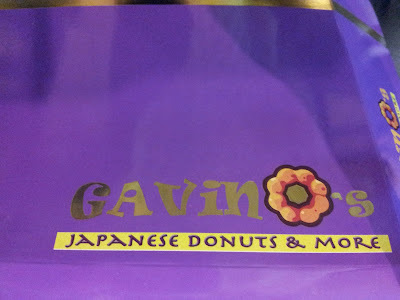 We have never heard of Gavino's but since it looked yummy, we decided to try it out. 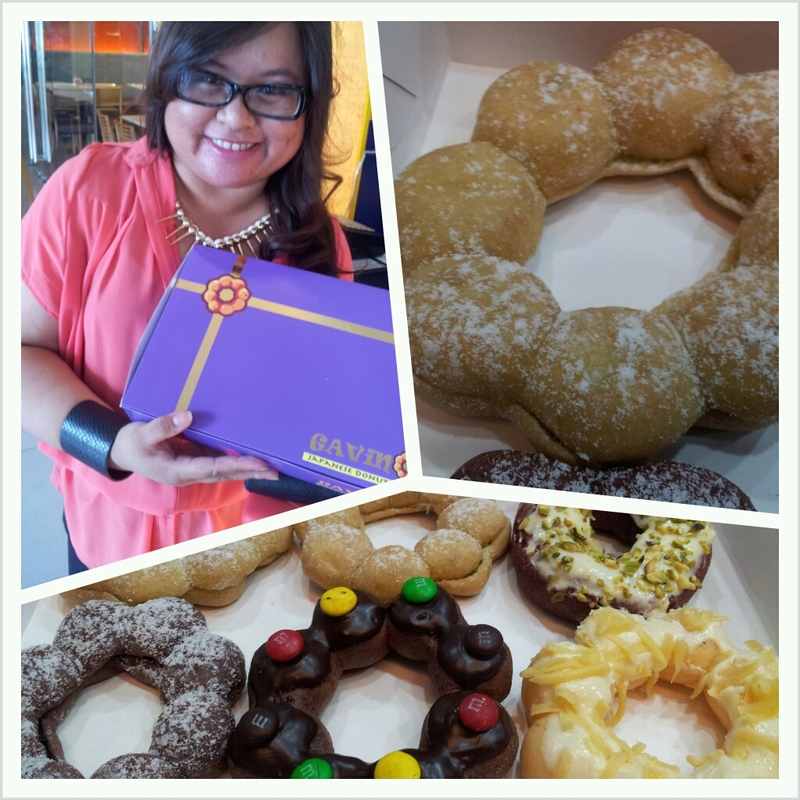 And I'm soooo glad we did coz the donuts were absolutely yummylicious!!! The soft chewy donut that wasn't too sweet or bland was a hit among us friends. 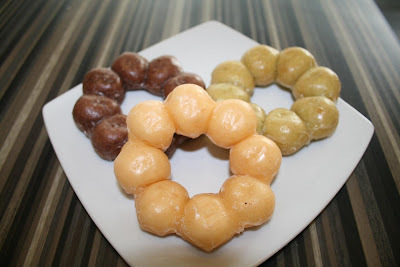 Apparently their donuts are called pon de ring -- which are small chewy soft balls connected to each other other. The box of Gavino's donuts that we bought for take out! I love the idea coz it's easier for sharing coz if you just wanna taste a "bite", you just "tear" out a "ball" and pop it in your mouth. And have I mentioned how wonderfully chewy and yummy it is? We picked out various flavors but I guess the winner for me was the Green Tea flavored donut. I thought it would taste weird but after eating it -- I ABSOLUTELY LOVED IT! Which is surprising coz I'm not really a big fan of Green Tea flavored stuff. But the vanilla + Green Tea spread tasted divine. I also liked their old-fashioned donut (crullers) and we tried out the red velvet pistachio one and yep that's a winner as well! And the best part is that it is very affordable compared to its other competitors. 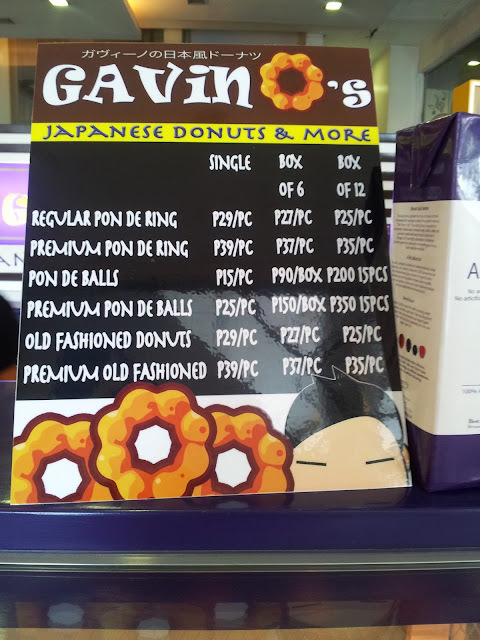 The regular pon de ring is 29 pesos per piece while the premium is 39 php. Affordable diba? But its cheaper if you buy it per half dozen or per dozen. 4) JUST OPENED - Robinsons Place, Manila. So I'm definitely looking forward to my next visit. Maybe I will also try out their coffee or milk tea! 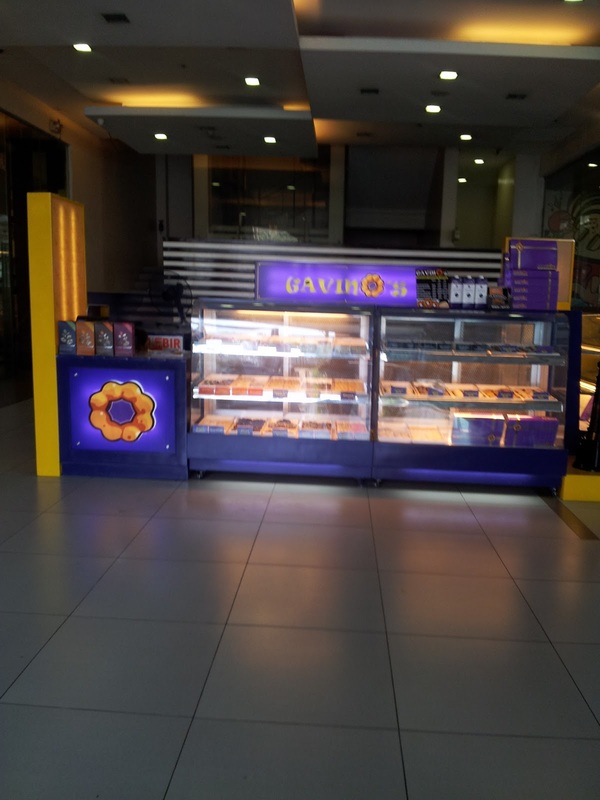 So coffeeholics, if you have dropped by Gavino's already, don't forget to recommend me what to get next. Happy payday weekend everyone!